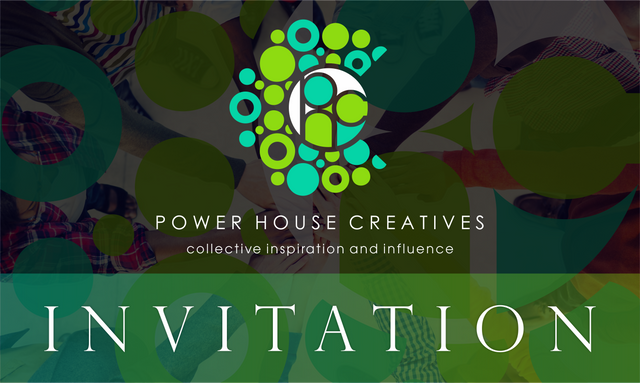 If you are TRULY passionate about #STEEM - consider joining our #POWERHOUSECREATIVES TEAM! I would like to invite the TRULY passionate #STEEM individuals to submit an application to join our Power House Creatives discord community. #Steem needs more people who are prepared to go the extra mile, bend over backwards and put in the extra hours - and THOSE are the people we WANT! As most of you already know our community is closed. This does not mean that we are trying to keep people out or that we ignore those who aren’t members – it simply means that we are focused on keeping our standards of content high and our member commitment higher. I am not going to sugar-coat things for anybody, because it would not make any sense whatsoever, nor would it serve anybody fruitfully - long-term. Our community is incredibly proactive - and DRIVING the success and growth of the people within it is our FUNDAMENTAL PURPOSE, because this is how they are able to do the same in return for other individuals in communities beyond our own! Our reach extends WAY beyond our own walls and this is one of the primary reasons why it is important to ALL OF US that each of our members are able to hold our flag high wherever they may roam. We work hard, we play hard - we support one another through thick and thin, we know whats going on in our "3D" lives and no matter what it is - we are there for each other! Yes, there are daily responsibilities and obligations. Yes, there are things that fly within our walls and things that definitely don’t. Yes, we require quite a bit from you as an individual but you get it tenfold in return and ANY ONE of our members will gladly testify to this. Absolutely EVERYTHING is catered for and considered… including those times when you will NOT be able to fulfill your obligations. It simply requires the following of our procedures, which once you have grasped – are not complicated at all. Everybody in our community jokes about my “boot” because they know that there are certain things that never were and never will be tolerated within our walls… and when they surface, those people will very quickly meet my infamous “boot” sending them out the door – or at least showing them that it is open. A few such things would be the likes of: not doing what you promised to do when joining, not being a team player, plagiarism, spamming, causing trouble with other members etc. These are all no-brainers really, so should not be much of a shock or challenge to anyone who is actually on Steemit (or any other platform) to make it a better place for everyone! We may be a relatively small collective, but we have approx. 118 members from over 30 countries and that continues to grow. Most of our members are also key players in some of Steemits other highly regarded and supportive discord communities and initiatives - and all of us at “home” know without question or doubt that every single one of our members will make us proud with whatever they do – wherever they go – and that is precisely how we intend to keep it. Simple as that! No, this kind of “ethos” does not work for everyone – and that is perfectly fine - Each to their own. The people who have done the “putting in” are the ones that understand what they “get out” of it all ;) We are a team that is here for the long haul! We are here to give #STEEM our ALL and if that resonates with you, then we would absolutely LOVE to have you join us! It's a great community. Apply and join us. Interested to join, care to point out how? Glad I see someone I recognized while browsing the replies and I like your travel posts. Get involved folks! This is an awesome community and it keeps getting bigger and better every week! Big things coming here and @jaynie & @zord189 are inspiring and helpful community leaders. You have been infected by the King of Disease! Or will you spread the plague? Looked into it and going to pass as already have a ton of things going. Jumping through hoops and reading a ton of things right now isn't on the plate. Seeing what your doing. I definitely see the positive things you been doing. Absolutely EVERYTHING is catered for and considered… including those times when you will NOT be able to fulfill your obligations. It simply requires the following of our procedures, which once you have grasped – are not complicated at all. ¿Submit an application to join? ...¡Yikes! "While older I get, more allergic to the entrance of these spring's diseases I become" ¡No Thanks! Lol. Each to their own. A great welcome to all who accepts this great invitation! Come and join our crazy family! PHC is very awesome actually!! We work hard, we play hard - we support one another through thick and thin, we know whats going on in our "3D" lives and no matter what it is - we are there for each other! 🖕That’s lovely and challenging, is a quality that I want to see in every community. Thank you for maintaining such standard. Your UA account score is currently 5.388 which ranks you at #681 across all Steem accounts. In our last Algorithmic Curation Round, consisting of 204 contributions, your post is ranked at #42. It's an awesome group and I love it! That said, it is definitely not for "everyone." My experience is that PHC is a perfect fit for those who were part of — and enthusiastic about — the web's early "social blogging movement" where you wrote (mostly) "personal essays and commentary" on a daily basis and actively engaged with your readers... and most likely belonged to a couple of "blog rings." If you're old enough to remember what a "blog ring" is, then PHC is probably for you!